Since 1998, the tanzhaus nrw (North Rhine-Westphalia) has been Germany’s only performance venue and production centre for the promotion and teaching of dance, with a Tanz-Akademie for amateurs of all generations as well as training centres for artists from the region and from all over the world. An interview with Bettina Masuch, director since January 2014. Frau Masuch, you read Theatre Studies at university. Up to now you have worked as a dramaturg, curator and festival director. How did you become involved in dance? I’m originally from Solingen, a town close to Wuppertal. It was in the performances of the Tanztheater Wuppertal Pina Bausch that I learnt to see art, and I also discovered that art has to be feisty, has to intervene and put its finger on the pulse and the issues of our age. The state of North Rhine-Westphalia likes to describe itself as a “dance land”. And, indeed, the density of institutions and artists here really is remarkable. How do you see the position of the tanzhaus nrw in the state capital of Düsseldorf alongside the high-calibre, classically oriented company of Martin Schläpfer’s Ballett am Rhein, the Forum Freies Theater and free-lance artists? The scene here is characterised by a high degree of collaboration and partnership. There are various co-operations, but each of us has their own work priority. As tanzhaus nrw, in co-operation with all partners, we promote free-lance choreographers from the region whose artistic positions we find convincing, and at the same time we present that which is internationally the current state of the art. We reflect art in its contemporary forms. So you are aiming at the multidimensionality of dance and society? Right. Dance is in itself a hybrid art with many overlaps to the fine arts, to music and to the performing arts. The question of relevance is very important to us – for instance, how can one establish fellowship in our heterogeneous society? It is also important to us to fathom the significance of the human body in the 21st century, how its possibilities are changing. These reflections also influence the work of the artists who are producing here on site. We pick up socially relevant topics. But with your vast offer of courses for amateurs you are also operating on many different levels. That’s true. So many people come here – some want to learn to dance, others want to show their own dance, some just want to watch dance. There are many intersections to which we want to offer space and, together with the artists, even greater possibilities in future. 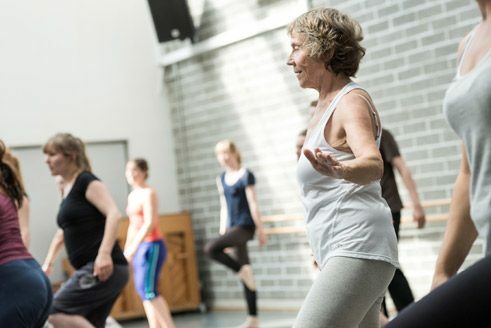 The participants in the courses come from all sections of society, from diverse countries and age groups, from the little ballerina to the hip-hop aficionado up to the elderly lady suffering from Parkinson’s. Are there any connections between the course participants and the visiting artists? Oh yes. The artists love to be in contact with the course participants, many of whom also go to the performances of the visiting artists or enter into conversation with our Factory Artists, who work here for two years at a time. Extremely successful, meanwhile, are formats such as the Physical Introduction, which we developed in collaboration with the Master’s course in Dance Pedagogy at the University of Frankfurt and in which the spectator learns a sequence from the guest’s current performance. Your view of dance changes once you have actually experienced dance physically. The tanzhaus nrw began as a socio-cultural centre emerging from a citizen’s initiative. In 1998, it evolved into the municipally sponsored tanzhaus nrw located in a converted tram depot. The state of North Rhine-Westphalia supports the institution financially. What are the conditions today? We are a house with many entrances, and we are literally bursting at the seams. The large portion of our budget that is self-generated enables us to operate over this wide spectrum. But we have long since been reaching our limits. Like the European Centre for the Arts, Dresden and k3 in Hamburg’s Kulturzentrum Kampnagel, the tanzhaus nrw also belongs to the European Dancehouse Network (EDN). In what way do they differ, for instance, from the French Centres Chorégraphiques? 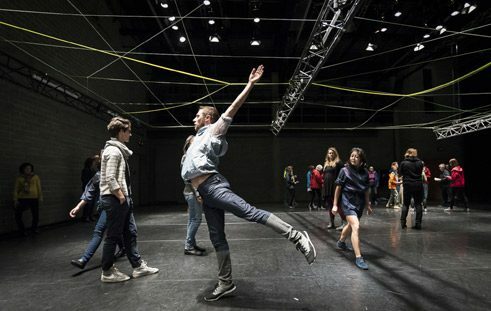 In particular in that the French centres are directed artistically by a single choreographer and are communal institutions that far more generously funded than, for example, the tanzhaus nrw. 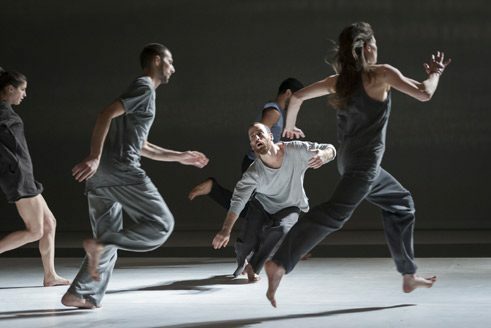 In contrast, the European dance houses, which include the really big ones such as The Place in London or the Mercat de les Flors in Barcelona, not only provide contemporary production conditions for free-lance choreographers but also engage with the diversity of current forms of expression and social realities. In May 2016, you prolonged your contract until 2020. The trade journal tanz called you a “ray of hope” for dance in Germany. What is your aim? In view of the politically precarious circumstances and due to our financial situation, one aim must be to at least preserve working possibilities at the present level. I wish that the tanzhaus nrw were to be endowed in equal measure with the Opernhaus and the Schauspielhaus so that we would finally be able to offer free-lance dance artists appropriate working conditions. Marieluise Jeitschko conducted the interview. She works as a free-lance writer on dance and cultural affairs.